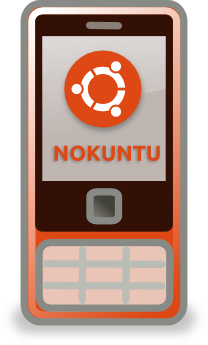 Nokuntu (Nokia+Ubuntu) is Simply and User-friendly Apps for managing Nokia phones in Ubuntu and debian based distributions. 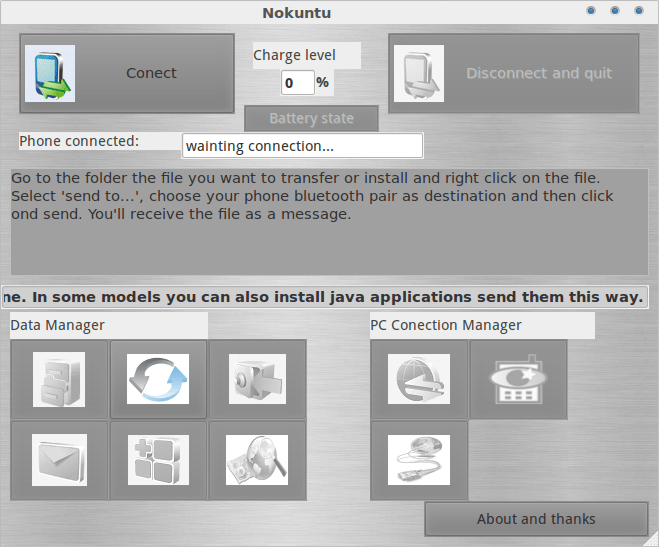 Nokuntu is unofficial nokia PC Suite for Ubuntu, this tool like Nokia PC Suite on windows OS. with nokuntu you can managing media files, synchronization, sending SMS, sending files via Nautilus, share your PC Internet connection via Bluetooth on your phone, check battery status of your phone, auto detection of USB/Bluetooth connections, and many more. Nokuntu is free and open source for both personal and commercial use, Currently nokuntu available in version 0.6.1 and support for all Debian Based distribution. thus the perfect choice for those that want an alternative for Communications apps. It comes in Basque (Euskara), English, French, Italian, and Spanish versions.